Natuursoep BVBA is a family company currently led by Hans Broeckx, the third generation company director. The company evolved from being a manufacturer of frozen soup with an own brand name to a manufacturer of cooled and frozen soup tailored to the expectations of our business customers. We mainly use local ingredients, sourced from Belgium or The Netherlands, to limit our ecological footprint as much as possible. We continuously look for the best ingredients to create an honest and delicious soup. We also prepare the meatballs ourselves to guarantee that they are of the highest quality. Natuursoep bvba is a family company founded by Alfons Broeckx in 1959. He and his brother were butchers in Turnhout when Alfons decided to sell soup as well. They delivered door-to-door, and transported the soup in 10 gallon milk cans. 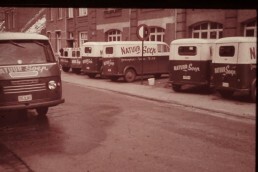 In 1959 Alfons moved, together with his wife Irene, to the Kerkstraat in Arendonk, and established the brand name Natuursoep on September 9th, 1959. Despite the emergence of a catering department at het end of the sixties, Alfons decided to focus on the preparation of artisanal soup. As a result, he came up with the idea of freezing double concentrated soup into small trays, enabling the preparation of 1 liter of delicious soup. A – for that time- hypermodern dispensing machine was constructed to fill 4 trays simultaneously. The frozen soup became a big success and was soon widely distributed. 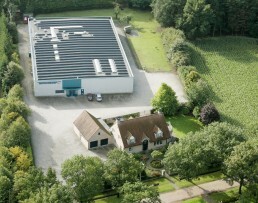 In 1983 the legacy of Alfons was continued by his eldest son, Johan Broeckx, who took over the company. Together with his wife Linda, he extended the distribution network in the provinces of Antwerp, Limburg and Vlaams-Brabant. In 1996 the company moved to a brand new building that was especially designed according to the European guidelines concerning Food Safety. 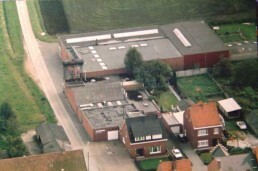 In 2000 the company decided to expand its network to the rest of Flanders. In 2003 grandson Hans Broeckx joined the company as manager of Natuursoep bvba. 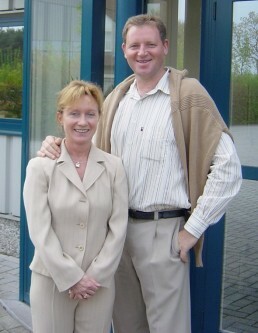 Hans Broeckx and his wife Dorien took over the company. They launched the brand “La Soupe” in the whole of Belgium. The first IFS certificate was obtained.